Shirt/pants/shoes were purchased as is. Coat was purchased and length was extended and wear and tear was added to the coat overall. Belt was purchased with pouches made for it. 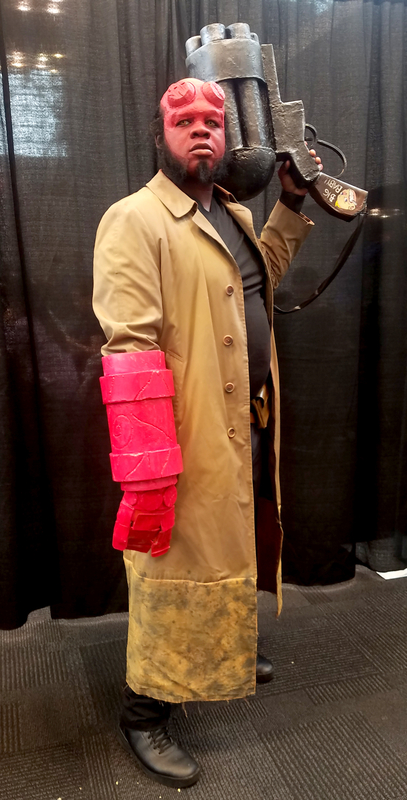 BPRD buckle was purchased in the past. Big Baby and Right Hand of Doom were sculpted/painted by me. Forehead prosthetic sculpted/molded/foam latex run/painted/applied by me. All hairpieces custom ventilated by me. Contact lenses previously purchased. 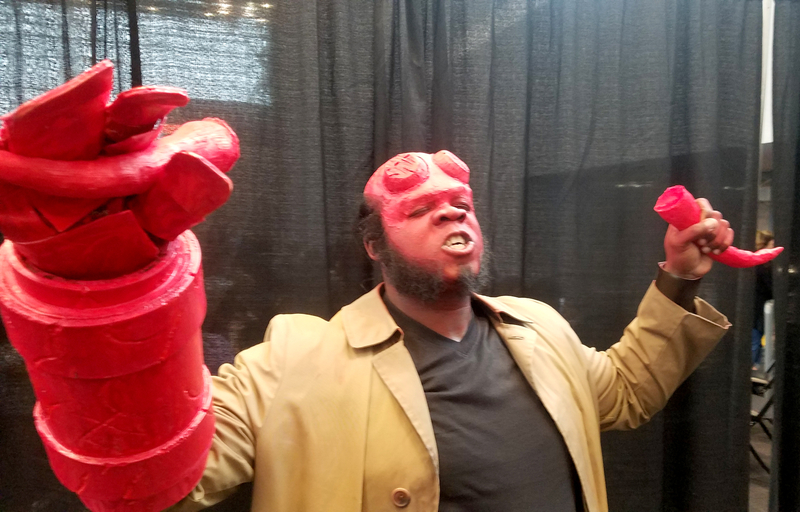 My friend, Paul [the model pictured here] had the idea of having detachable horns. Since the mechanism didn't work, he kept these horns in his pocket for certain photo ops. Horn sculpted/molded/painted by me. Wow, you really look like a hell boy, Well your makeover, the dress, and everything is perfect. 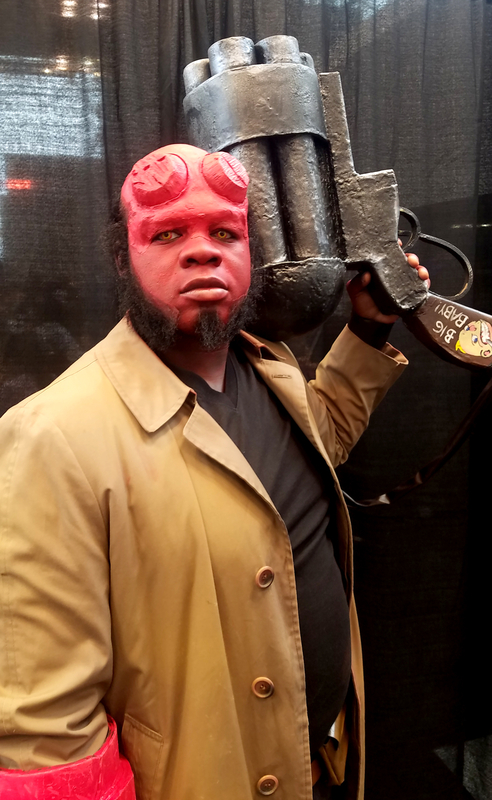 I will show your pics to my brother because he also customized Hell boy coat from the Halloween spot coupon your pics will give him some ideas about his getup.